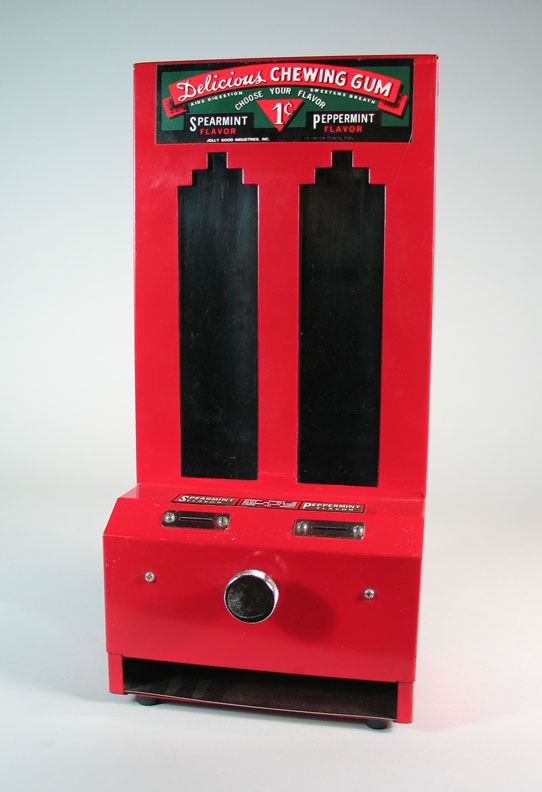 Here is one of the reproduction stick gum machines that were made in the 1980s. It is in like new condition and comes with the original instruction booklet and key. Approximately 15" tall, 7" wide and 5" deep.